HDLA was selected by the Williamson County Parks and Recreation Department to work with the Bending Chestnut Taskforce to develop a new Park Master Plan in southwestern Williamson County on 340 acres. The project included a Welcome Center, Environmental Education Center, lodge, cabins, historic village, amphitheater, mountain bike trails, pond and hiking trails. HDLA was selected by the City of Oak Grove, KY to complete a master plan for Veteran’s Park, a 100 Acre parcel donated to the city. This master plan focused on creating a sustainable landscape while also meeting the city’s needs for active and passive recreation space. The plan includes a gathering lawn, restored wetlands and stream, restore meadow, observation boardwalks, earth sculpture, playground, and butterfly garden to accommodate the annual Butterfly Festival held by the city. 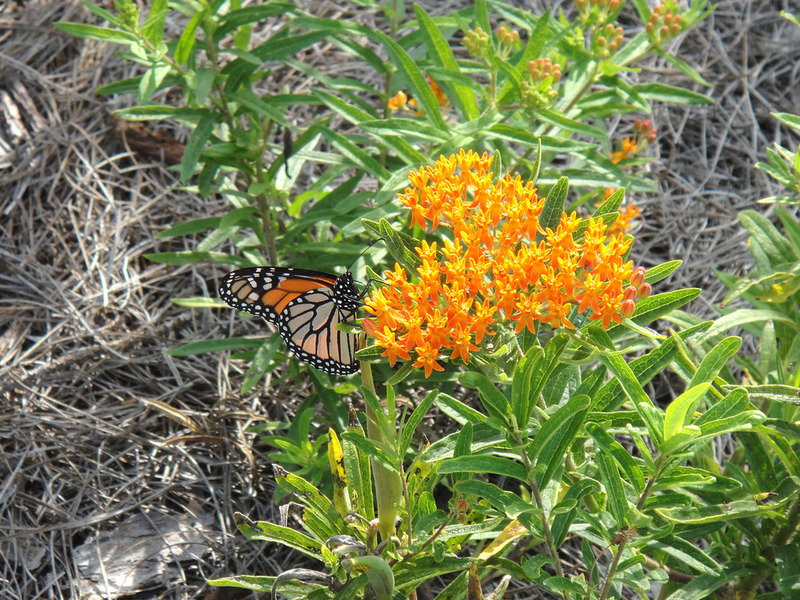 Over 25 native plant species were planted in the garden, attracting dozens of butterfly species every year and increasing visitors to Veterans Park. HDLA worked with Lyle Cook Martin Architects to provide a Master Plan for the river front of the Cumberland River in historic downtown Clarksville, TN. Scope of Work included a concept plan for a Riverwalk Greenway Trail, tying into the Phase I walk constructed several years ago. The plan allows for pedestrian river overlooks that incorporate public art that showcase historic elements in Clarksville including the riverboats, tobacco cultivation, and steamboats. Construction Documents were for the North Extension of the Riverwalk that include the walking trail, pedestrian gathering areas, landscaping, irrigation and pad creation for future mixed-use development. HDLA worked with the City of Brentwood on the Flagpole Park project. 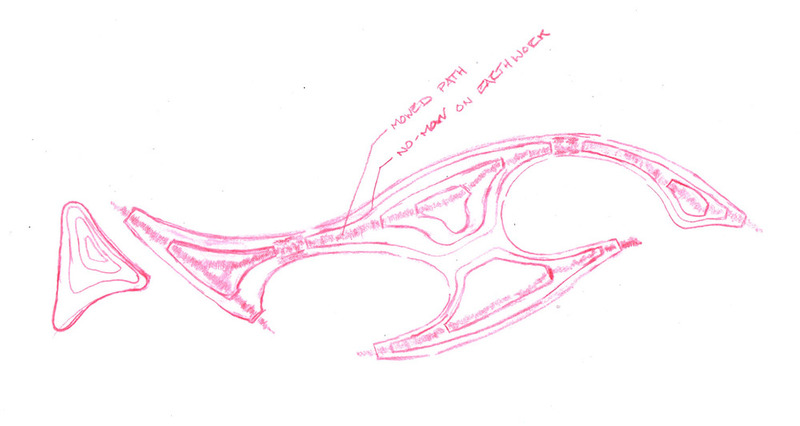 It was divided into two distinct places during the design process based upon their respective target user and activity. Flagpole Park is an active site designed to accommodate multi-sport practice on its two athletic fields, active play on the half basketball court, and a walking trail encompassing the site. Wikle Park is a passive park utilizing open space, picnic pavilions, as well as paved trails and mowed paths to guide the user through the site. Wikle Park also contains neighborhood friendly amenities, meant to stimulate play, such as the playground and the play berms. HDLA produced a Circulation & Landscape Improvement Master Plan, specifically dealing with improving vehicular, pedestrian and golf cart circulation at the main Club Entrance Drive and the Clubhouse. In 2007, Phase One of the Master Plan was completed, which included a new tree lined median approach sequence to an automated wooden entry gate with stone piers, an improved bag drop area at the Clubhouse, new brick walks, new canopy trees in the parking lot, and new landscape beds around the Clubhouse. HDLA helped developed design plans for the historic site at Kellytown in Forest Hills, Tennessee. Plan features included pavilion for student learning, connection to Congregation Micah Greenway, proposed meadow mix, a mounded Open Lawn Area, interpretive palisade, interpretive signs, walking paths, proposed bike and pedestrian routes, proposed greenways, a potential connection to Brentwood Greenway-Warner Parks, on-site parking, and recreated structures. HDLA worked with a team of Design Professionals led by Hargreaves Associates to prepare Schematic Plans for the first 16 phases of the $40M Riverfront Park along the Cumberland River in downtown Nashville. Access design from 1st Ave. down to the “Walk on Water” boardwalk trail on the water’s edge is provided as well as streetscape design improvements for the 1st Ave. “Pioneer Walk” that include paving, public art, structures, landscape and site furniture, creation of a Public Arts Master Plan for the entire riverfront, and the creation of full schematic plans and renderings for Cayce Landing Park. HDLA was hired by the Clarksville Department of Parks and Recreation to create a master plan for the restoration of Pettus Park, a 15 Acre community park near downtown Clarksville. Along with an architect, HDLA led a community visioning workshop to help determine the park program and activities. The final conceptual master plan includes a walking trail, adventure playground, splash fountain, environmental education opportunities, picnic lawn with shelters, football/softball field, new concessions facility, basketball courts and new signage and parking. 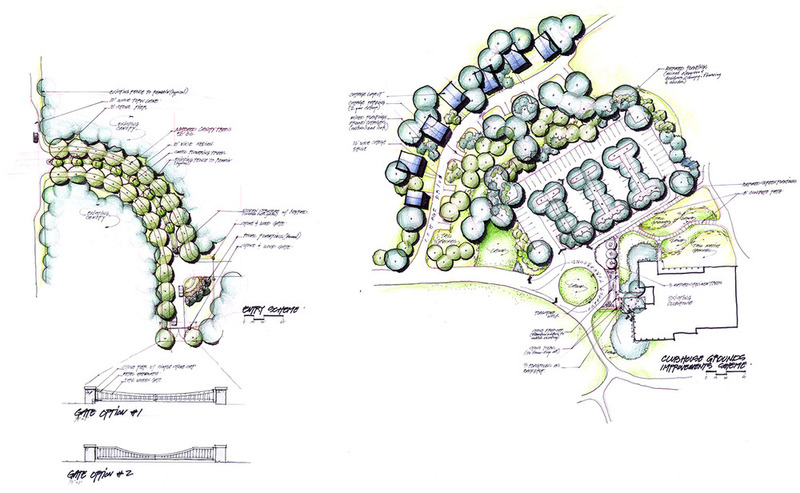 The design team was committed to creating a sustainable place for play, learning, relaxation and reflection. Phase One of the plan is currently under construction using awarded grant money. The remaining phases are pending further grant applications. 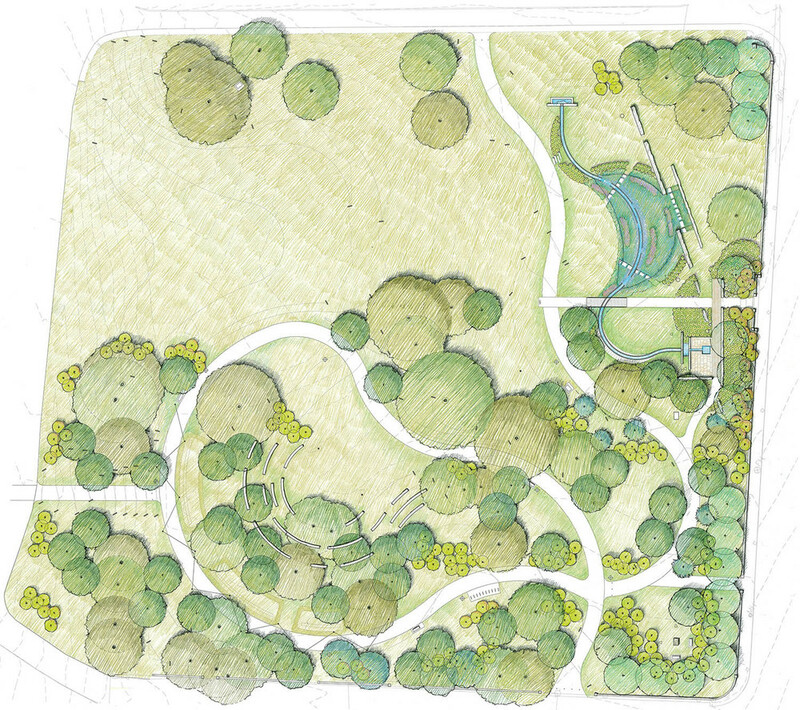 HDLA worked with Lyle Cook Martin Architects and Montgomery County to aid in the production of an updated master plan for Rotary Park, a 100 acre nature park on the edge of Clarksville, Tennessee, one of the only preserved natural habitats in the county. A complete trail and facilities inventory and analysis study was completed along with recommendations for trail expansion and improvement, the production of a site master plan with new picnic facilities, trial heads, and a small nature center. HDLA worked as a part of a design team on the creation of 3 Nature Centers in existing Metro Parks. Scope of Work included preparing building site plans, with parking, drives and walks. Factors of sustainability were taken into consideration including passive solar orientation and the use of paving materials that would result in minimal site impact. A green roof was created for Shelby Bottoms and ADA factors were an integral part of the design. Planting plans were prepared making use of plant materials native to each specific park. 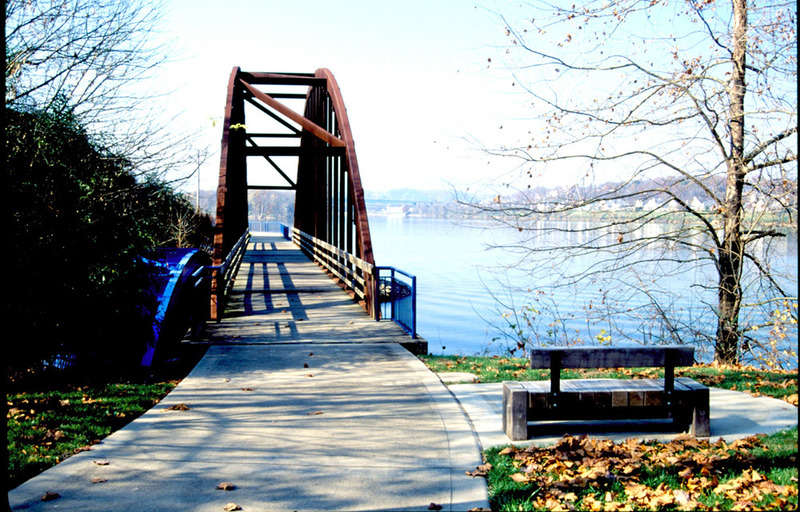 Initial work for this project included the development of schematic drawings for Phases III and IV of the River Park along the Tennessee River in Chattanooga. The project included the design of a rowing center (developed by others), trail, fishing piers, interpretive stations, pavilions, parking, bank stabilization and graphics. HDLA worked as the lead firm on a design team to provide a long-range master plan for this historic 2600-acre urban park listed on the National Register of Historic Places. This project included long-range plan that addressed new park headquarters, parking, trails, equestrian facilities, picnicking facilities, circulation and natural systems maintenance. Subsequent to this planning effort, HDLA prepared a Master Plan for the creation of a new park nature center, outdoor exhibits and parking. The “Friends of Warner Park” group was also created during this project, which has successfully raised over four million dollars towards the realization of the Master Plan. Other projects include the Warner Park Sustainability and Invasive Plant Control Plan and the Warner Park Nature Center Master Plan. This 350 acre day-use camp was developed by the YMCA on property leased by the Corps of Engineers. 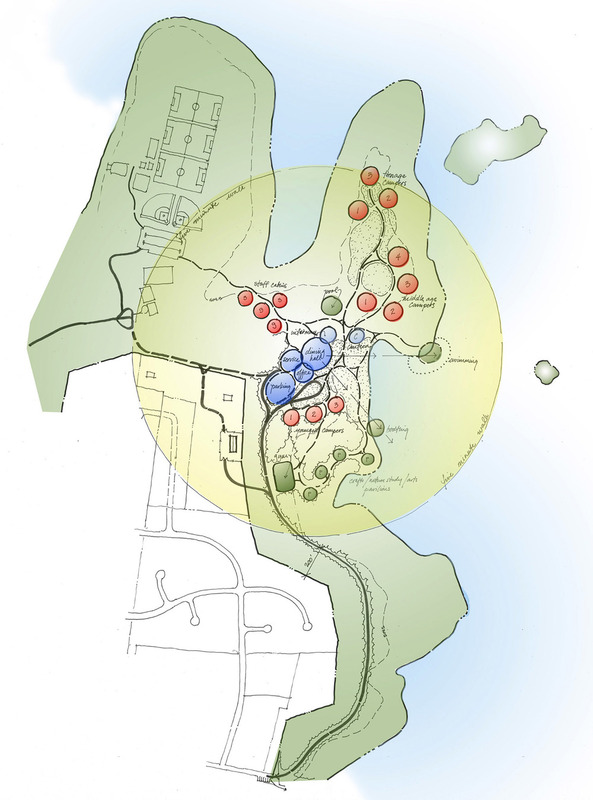 HDLA developed the overall Master Plan and assisted in the design of many of the components of the plan including athletic fields, equestrian area, lodge, boat docks, swimming, camping areas, pavilions, airnasium, trails, parking, and the entrance roadway.